Are you looking for something to do this weekend? The Pierson Fashion workshop is having an exhibition at the Keyes Gallery, located by The American Hotel on 53 Main Street, from March 30 to March 31. This is the workshop’s first ever gallery set up, though the program has displayed previous pieces at places such as The Long House and The John Jermain Library. The exhibition opens on March 30 from 6-8 pm and will run from 10 am to 6 pm the following day. At the gallery, the workshop will be displaying dresses, recycled bags, and mood boards made by students throughout the year, and yes, there will be food. 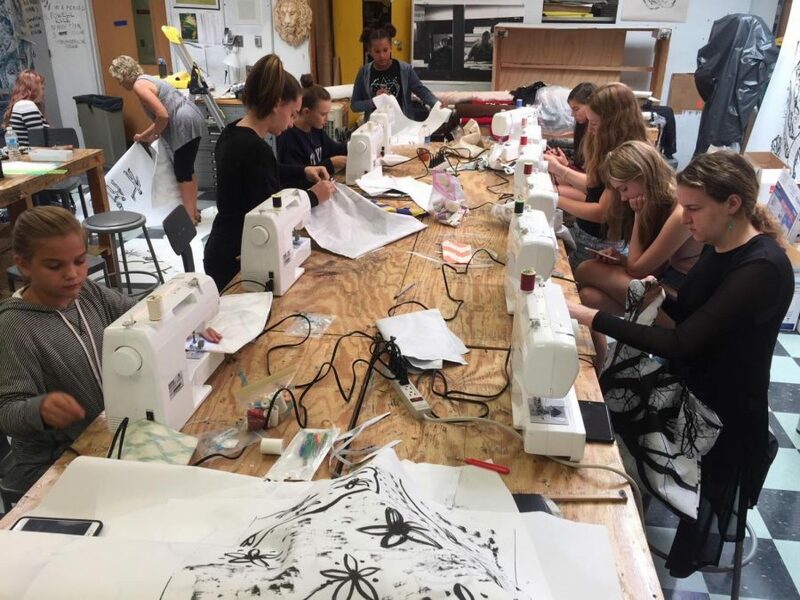 The Fashion workshop, run by Peter Solow and Monica Frisbie, started the preparations for the exhibition this summer, designing dresses with fabric donated by designer Donna Karan and Urban Zen. The three-year-old Fashion Workshop has the purpose of providing students with the experience of designing and creating fashion and is funded by the Donald Reutershan Educational Trust. The exhibition will be opening at 6 pm this Saturday, so make sure to stop by and show your support for this fantastic program.